For affordable and professional after builders cleaning�in South London, North London, West London, East London, Central and City of London, Surrey, Kingston choose FK Domestics Ltd.
Our wide range of cleaning services incorporates this service�that we are very proud of. With plenty of construction and renovations going on in London, the presence of a professional cleaning company is a positive presence. We are determined to have our clients satisfied with the level of service that we have to offer. Our company delivers after builders cleans for both residential and commercial buildings. The�team of fully qualified and insured builders cleaners along with our support staff are ready to offer help in fast response. We provide the very best post construction cleaning all around London. Building and renovation leaves huge debris behind. They also leave stain marks and other forms of dirt in the building. 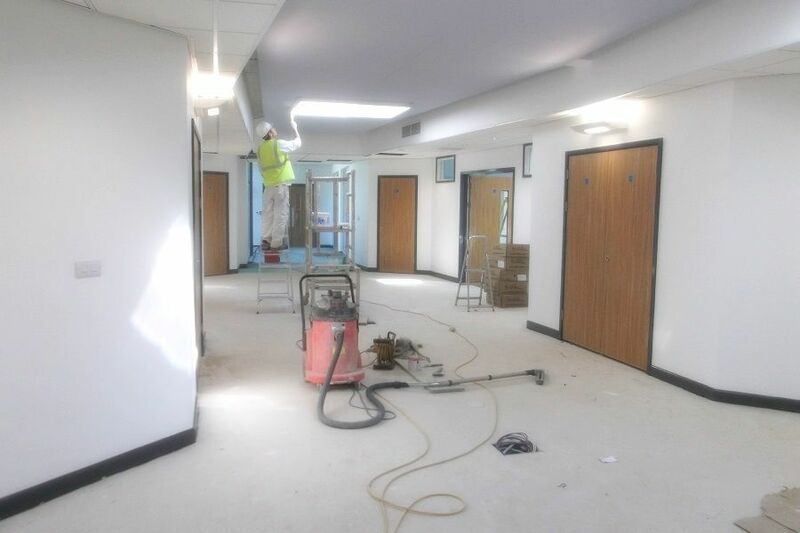 The builders cleaners�are well trained to handle such cleaning needs. Our thorough cleaning schedule incorporates vacuuming, scrubbing walls, doors and floor, dusting all surfaces and mopping. All the debris will be removed and the property will be left with a sparkling finish. The�team of professional cleaners are carefully vetted and well trained. This enables them provide the best services and for your peace of mind, too. We use specialised equipment and tools to handle all forms of construction cleaning. All the advanced tools and equipment are designed to offer modern service delivery. The�staff are well trained in using these equipments to carry out all forms of cleaning. FK Domestics Ltd provide low and very competitive cleaning rates. However our prices in no way interfere with the quality of services that our skilled team offers. You will find our prices unmatched and we can beat any quote. Carpet cleaning, upholstery cleaning and window cleaning are also available at an extra cost. For inquiries, call us on 020 8363 1966 or use the button below to book our after builders cleaning London online.